Irish beer & cider specialist C&C Group has acquired the Hornsby’s Hard Cider brand from North America’s E & J Gallo Winery for a cash consideration of up to €20m. The transaction includes trademarks, inventory, formulas and global rights to the second largest North American cider brand. The transaction has completed for an initial cash consideration of €16.4m. An additional consideration of up to €3.6m is payable subject to the performance of the business in the period to April 2012. C&C is the manufacturer of Magners, a premium international cider brand, Magners, Bulmers, an Irish cider brand, and the Gaymer Cider Company range of branded and private label ciders. 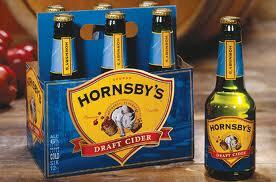 Produced at Gallo’s winery in California, Hornsby’s Hard Cider comes in two flavor variants, Amber Draft and Crisp Apple. Both are exclusively distributed through the off-trade in a 330ml glass bottle format.